I’ve reviewed a fair few Aēsop products now and I have to say, overall, I’m really impressed and my initial reservations of “Oh, it’s just a load of natural rubbish” is completely unfounded. Their skincare is effective, well formulated and a pleasure to use. 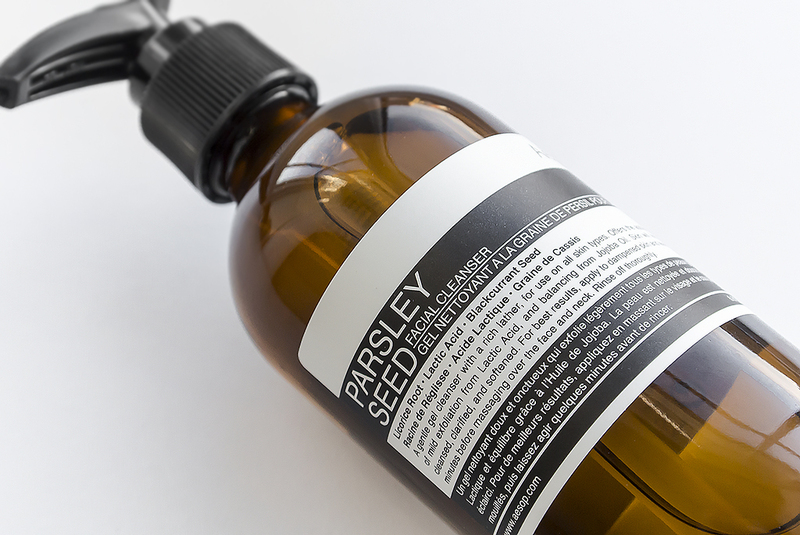 Aēsop Parsley Seed Facial Cleanser is definitely no exception and is one of my new favourite facial cleansers that’s a regular in my bathroom cabinet. Formulated with brightening liquorice root; blackcurrant seed; calming lavender; hydrating jojoba and gently exfoliating lactic acid, this cleansing gel facial wash kicks up a rich and creamy lather that gets to work by gently removing dirt, impurities and breaking down the bonds of dead skin cells. Skin is left feeling soft, well-cleansed and ready for your treatment serum and moisturiser. After only a few days of use, skin is more radiant and you’ll notice your products sink in more easily as the epidermal crust of surface dead skin cells is broken down. Definitely a luxury cleansing option, Aesop Parsley Seed Facial Cleanser is available here from Aesop at £25 for 100ml or £39 for 200ml. This article first appeared on MANFACE written by Thom Watson. It was published on Saturday 4th January 2014 and was last updated on Monday 3rd April 2017 at 3:13pm. It's categorised under Aesop, Cleanse where you'll find more related content.